The Forge collection reinvents the insulated travel tumbler with high-tech insulation, a self sealing spout and a carry handle for better on the go coffee and or tea experience. This is 16 oz. deluxe double walled insulated polypropylene, stainless steel with leak proof closure. 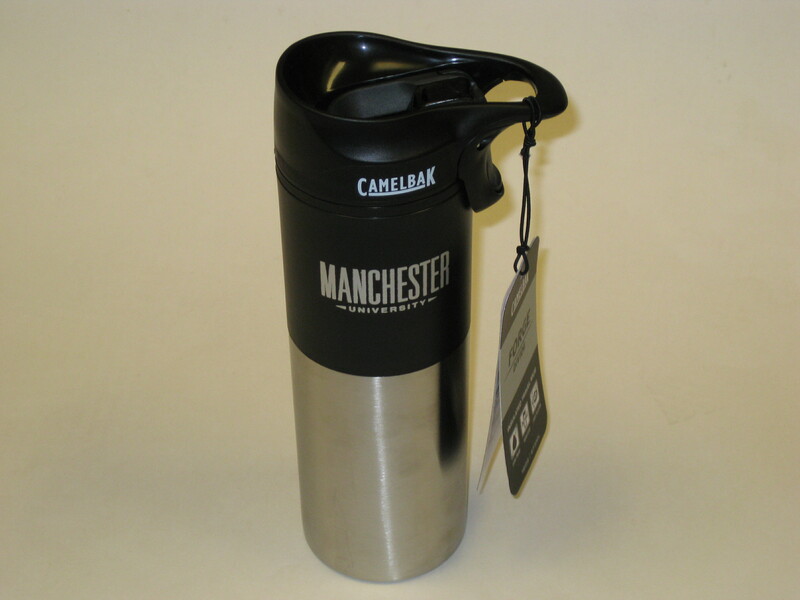 Has Manchester University on both sides of travel tumbler, too.